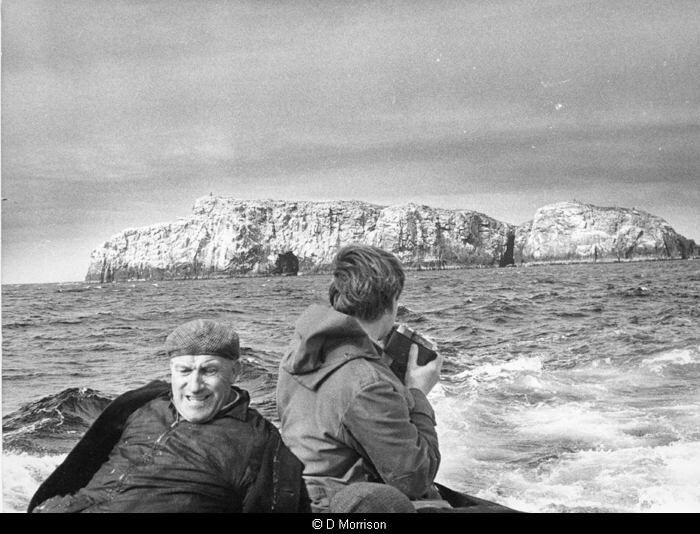 The small rocky island of Sula Sgeir ("gannet skerry") is located about 40 miles (65km) north of Ness, Lewis. 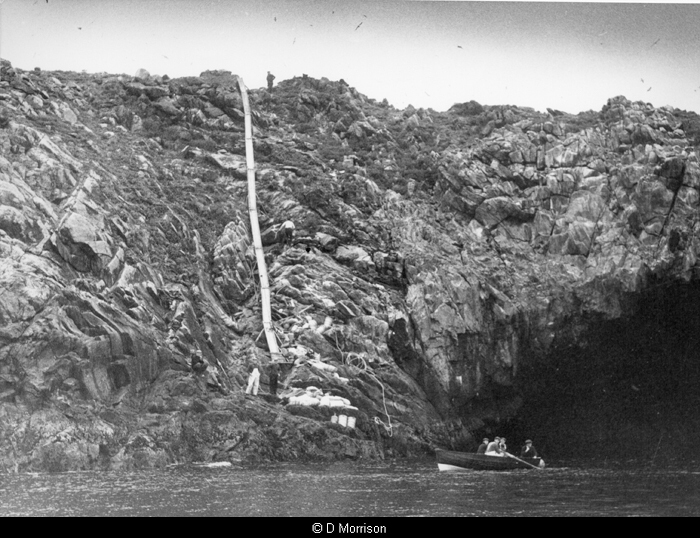 It is no more than 150m wide, but has 75m seacliffs. Lacking fresh water and with little vegetation, the island is inhabited only by seabirds, including gannets, guillemots, razorills, fulmars and shags. 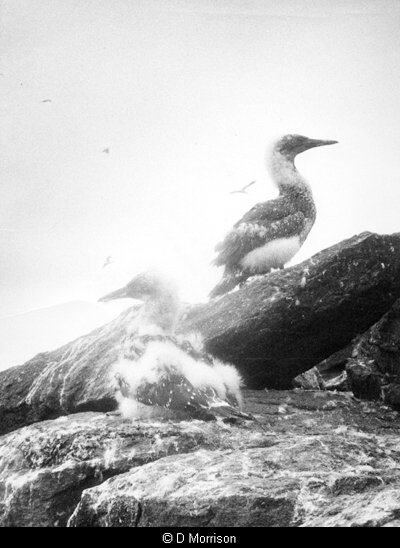 The island is best known for the annual guga hunt, during which ten men from Ness spend a fortnight culling some 2,000 gugas, or young gannets, in keeping with an ancient tradition. On the island can be found a small temple, Taigh Bheannaich, which is said to have been occupied by Brenhilda, sister of St Ronan who was the occupant of the island of Rona, 12 miles distant. 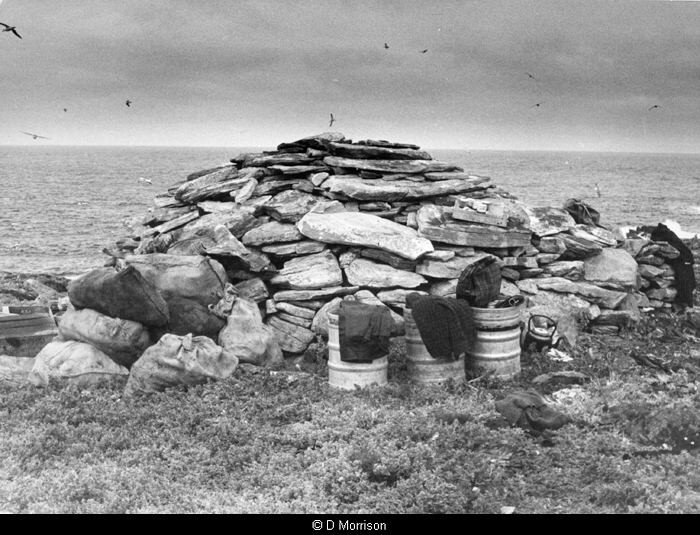 Five drystone bothies on the island serve as rudimentary shelter for the guga hunters. A lighthouse is located at the south end. 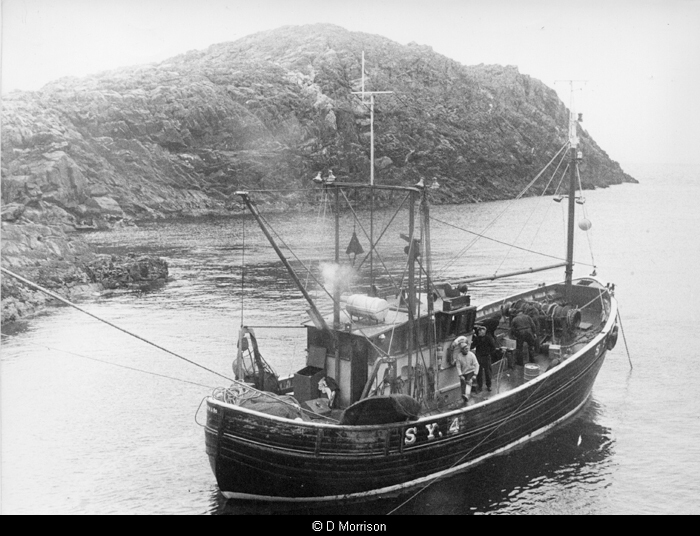 The island has been a National Nature Reserve since 1956 and is managed by Scottish Natural Heritage.